Biological samples collected in clinical trials are the basis to generate up to 50-60% of all clinical trial data. Considering these samples as a donation from or extension of our patients, we need to treat each single one with the same respect. Every clinical trial is unique. 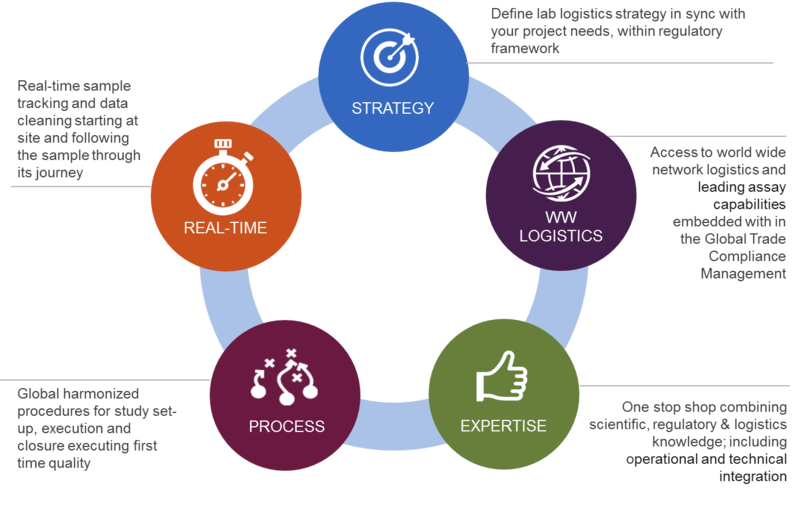 As a result, there is no “one-size fits all” approach for the laboratory logistics strategy to drive efficient projects. PAREXEL's Laboratory Logistics team develops your project-specific tailor-made laboratory logistics strategy including how to help ensure compliance with regulatory requirements and capabilities to centralize purchasing of supplies, assembling of kits and optimizing your laboratory supply chain. To reduce the overall number of shipments to sites, we consolidate various study-associated laboratory and ancillary supplies. This unique “Study in a Box” approach reduces the risk of misplaced materials, lowers overall shipment costs and carbon footprint. PAREXEL's approach differs from central laboratory providers. 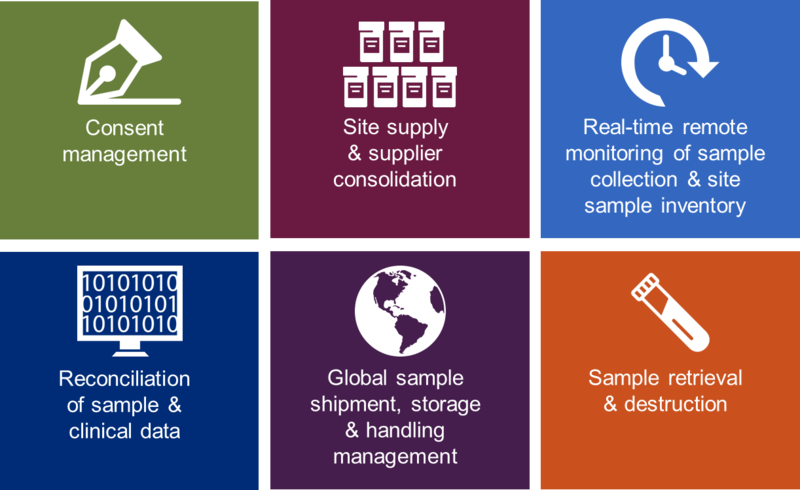 By having an integrated network of global partner laboratories and the ability to ship your samples to any required laboratory in the world, we offer a uniquely flexible and scalable approach. With the expertise to begin planning laboratory logistics from the moment your program starts, establishing optimal efficiency and transparency end-to-end: from lab kit assembly and logistics, sample collection to transportation, processing and storage, PAREXEL's Laboratory Logistics Services will accompany your samples' journey. Whether you are a large, multinational pharmaceutical company with established network of analytic labs, or an emerging biotechnology company with no in-house sample management expertise, PAREXEL's Laboratory Logistics Services can help. PAREXEL’s Biological Sample Lifecycle Management service provides clinical development, regulatory, translational and biomarker research in biopharmaceutical companies with enhanced control of all types of human samples from collection, through testing and storage until destruction. We help ensure ICF (informed consent form) and protocol compliant sample collection, and streamline sample logistics and associated data flows, to enable reduced cycle times for in-study and future use of human clinical samples. Download our Laboratory Logistics Services Fact Sheet and discover our capabilities. Global experience, integrated solutions, and a multinational infrastructure for seamless clinical trial material management. Click here. Our dedicated Clinical Trial Supplies & Logistics team uses industry-leading supply chain intelligence, developed through the combined expertise of PAREXEL specialists and our eClinical and eLogistics teams. Explore and learn more about our our ancillary supply services.